With a distinct motto of creating perfect prints, NavPack & Print offers impeccable high quality printing solutions to engage your audience. With advanced web offset printing technique, we help in delivering inserts that are clearer and more legible. With the use of web offset technique, printing newspaper inserts has become much easier. With pixel perfect images and text transferred to both sides of the paper, the reading experience becomes much better. Our web offset presses create unswerving results of the utmost quality outdoing sheet-fed printing. It us also a much cheaper alternative to offset printing without compromising quality of printing. 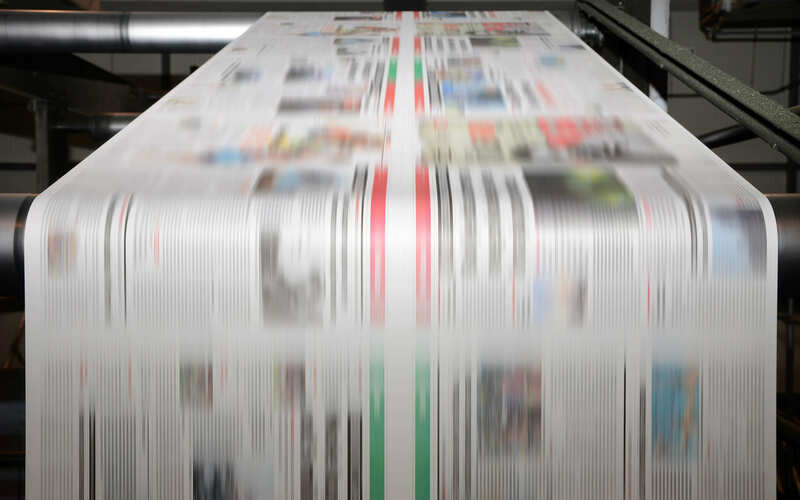 The best option for printing huge volumes of newspaper inserts every day, web offset printing offers you the luxury to churn continuous paper. All your paper is cut to precision after it has been printed, which makes it user ready instantly. We are armed to deliver news faster and quicker to the public. From limited editions to full length inserts, get your newspaper inserts printed with different methods of web offset printing at NavPack & Print today!